Julianne and I continue to push through on our vegan quest. Last night Julianne made a sumptuous dinner, but it was simple as can be and almost completely fat free. 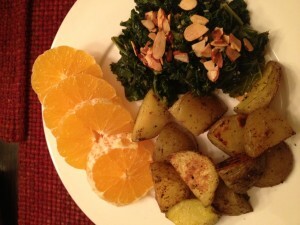 We had steamed kale with slivered almonds, some fried potatoes with garlic and Himalayan Pink Salt (no oil) and some sliced oranges. We got the oranges fresh from H & S Citrus right off the truck yesterday morning. It was a simple dinner. 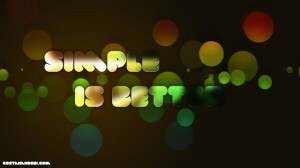 But, sometimes simple is better.